At a time when marine animals are facing more challenges than ever, days like World Whale Day, held on the 16th February 2019, have never been more essential. 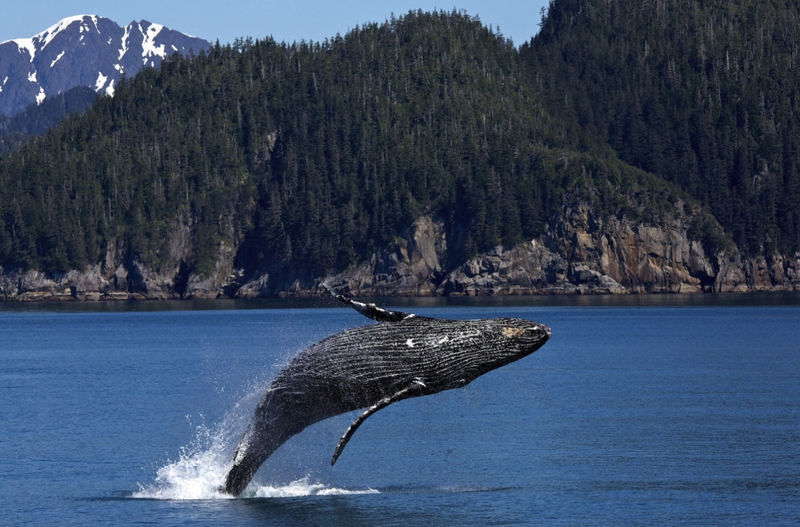 It’s a day that seeks to raise awareness on the growing need to protect whales. And that need is great; almost too great to discuss in one short blog. But, we’ll give it a go! Here’s a rundown of the problems facing whales and why one of nature’s most fascinating creatures needs protecting. Whales have blown scientist’s minds for centuries. For example, the blue whale is the biggest animal known to exist, weighing up to 200 tonnes. For reference, a male African elephant weighs six tonnes. But whales, like the blue whale and others on the list, are now being driven to extinction due to human activity. Whales are an essential part of many intricate ecosystems, and without them, other marine life will be at risk. As predators, they keep the food chain balanced, ensuring other species don’t overpopulate the ocean. Just look at blue whales, who eat around 40 million krill per day, keeping its population in check. And, if we can be a little bit gross, whale faeces is an amazing fertiliser for the ocean. They fertilise plankton and plant matter, ensuring that other species, like krill, have a viable source of food. So, whales maintain their own food source and other animals such as earless seals, penguins, squid, and fish that need krill to survive. Protecting whales is about more than saving the whales - it’s about preserving the entire ecosystem! How can we protect whales? Protecting whales from the dangers we pose to them isn’t going to be easy. Charities like SEA LIFE Trust have made whales a priority in their campaigning, which is having an amazing impact on awareness. But is this enough? If you want to make a difference you can! At Maru, we make many of our swimming costumes using ECONYL® regenerated nylon - which takes the discarded fishing nets and other discarded material such as old carpets that kill so much marine life and turns them into something wearable. This keeps rubbish out of the ocean, produces 57,100 fewer tonnes of CO2 emissions, and saves 70,000 barrels of crude oil per 10,000 tonnes of ECONYL® raw material. It’s innovative materials like this, and people like you who make greener choices, that hold the answer to reducing the list of endangered whale species down to zero. Choosing better fabric is a small step to changing the way we treat the oceans but, it’s the people who do the smallest things consistently that make the biggest change. When we design our high-quality swimwear, we do it with sustainability in mind. We want the generations of the future to witness the beauty of whales themselves; not from a history book. Our high-tech Black Pack swimwear range is perfect for the beginner to the professional swimmer and is made from life-saving ECONYL®. You can shop our full range here.